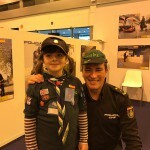 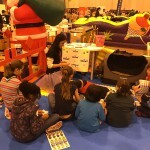 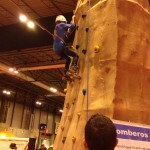 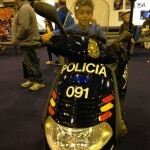 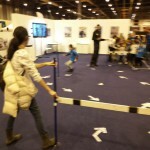 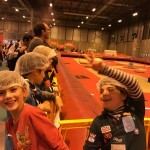 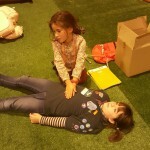 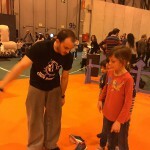 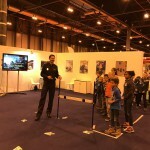 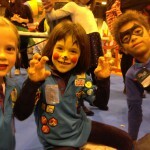 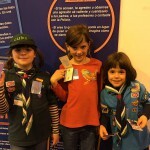 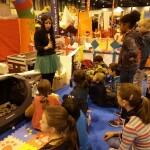 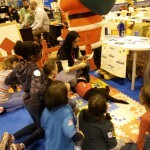 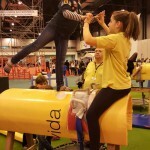 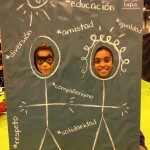 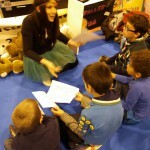 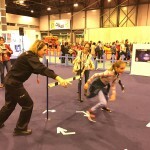 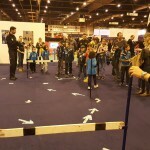 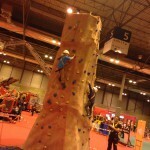 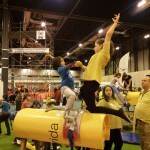 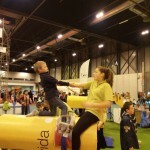 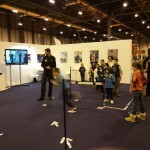 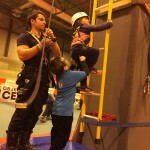 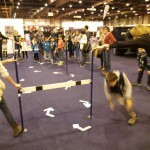 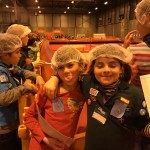 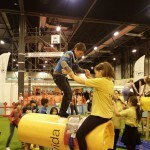 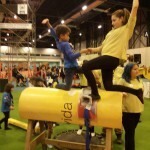 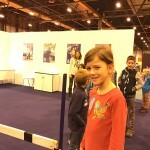 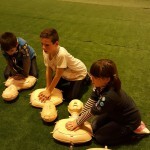 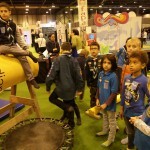 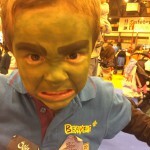 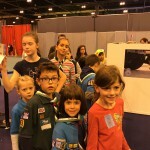 On Saturday 10th of December a group of Beavers, Cubs and Scouts spent the afternoon at Juvenalia fair at IFEMA exhibition centre. 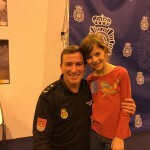 The visit started at the Police Academy stand where we were met by Chief Inspector Fernando Garcia. 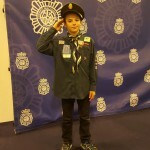 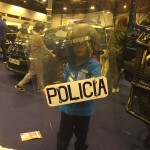 Scouts, Cubs and Beavers all gained part A of the Community Impact activity badge as they learnt about the different roles of the police in the Community of Madrid. 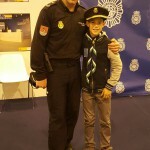 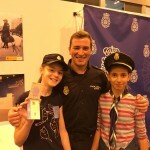 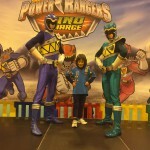 The Beavers also gained part A of the Beavers World Challenge badge (meet a policeman). 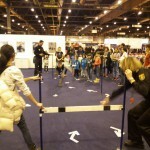 Some of our braves tried some physical tests like real police candidates. 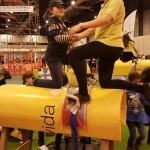 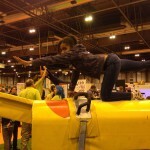 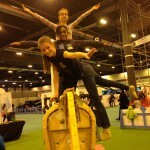 Afterwards we moved on to the circus school where Scouts, Cubs and Beavers all worked towards the Adventure & Physical Recreation activity badges by learning equestrian vaulting skills, summersaults and beam balance. 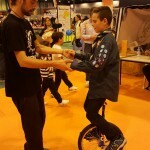 Some of the Scouts tried to ride a unicycle and others practiced their juggling skills. 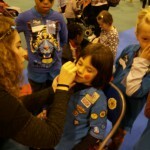 The following activity was with a charity that helps children understand about hearing disabilities (Disability Awareness activity badge part C). 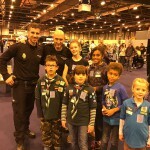 The Scouts, Cubs and Beavers learnt sign language and met a hearing dog. 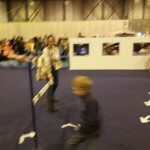 Afterwards we split into two groups. 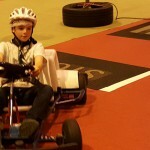 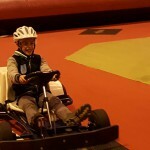 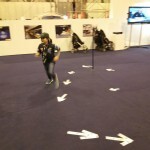 The children aged 8+ did a 25 minute driving skills and road safety course led by Fundacion Mapfre followed by indoor karting putting those skills to test. 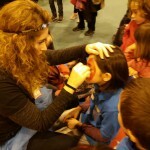 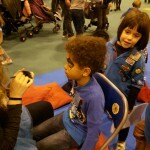 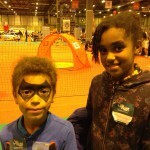 The younger children had their faces painted and then did an indoor climbing activity led by the local fire brigade. 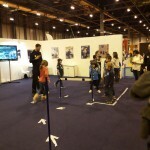 Some football lovers enjoyed for a while playing with a foam ball. 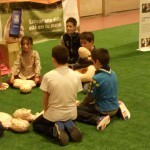 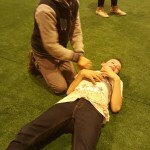 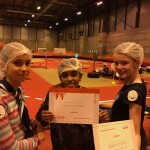 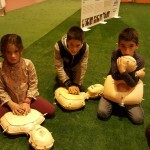 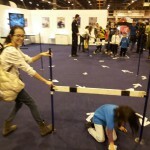 But after the match, they were “punished” taking part in a First Aid workshop. 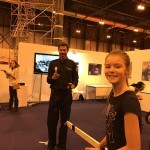 All in all, it was a very successful day out!